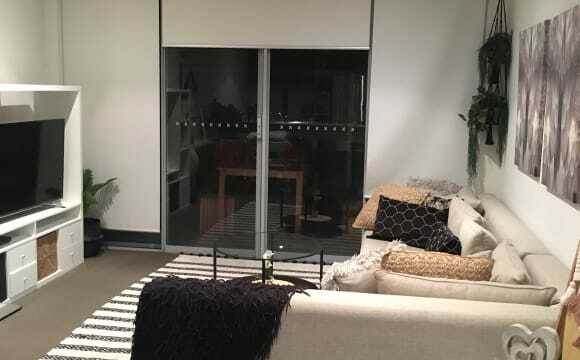 Hi, I am an existing tenant who is looking for a FEMALE co-tenant in a shared 2 bedrooms and 1 bathroom apartment with great view from level 6, located at Footscray Plaza. I am looking for a flatmate who is clean, tidy, quiet (non party), easy going, trustworthy and respectful. Rent price: $ 250.00 pw (including utilities eg: electricty, water, and broadband internet). Gas bill is free. Plus one off payment payable to the real estate - Rental Bond: $ 1,000.00 (equivalent to 4 weeks rent) - Tenancy Registration Fee: $400.00 Bedroom size: 300 cm (w) x 350 cm (l) x 300 cm (h) - plus built in glass wardrobe: 50 cm (w) x 270 cm (l) x 250 cm (h) - plus study room (attached to the bedroom): 120 cm (w) x 450 cm (l) x 250 cm (h) There is an air conditioning and electric heater in the living room. Please note that there is no furniture available in the bedroom and common area. 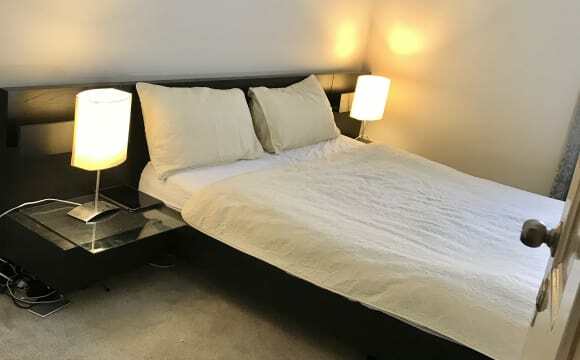 - The incoming tenant would need to buy her own furniture for her bedroom. - The furniture for common area such as fridge, sofa bed, small dining table, would need to be bought by both incoming tenant and existing tenant (myself). 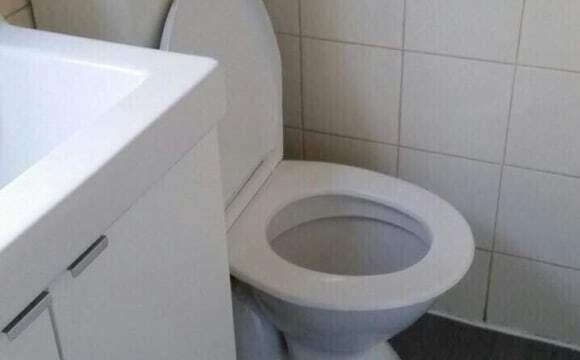 Will negotiate this during the inspection. This modern apartment is located at Footscray plaza, conveniently above coles, kmart, anytime fitness, etc. 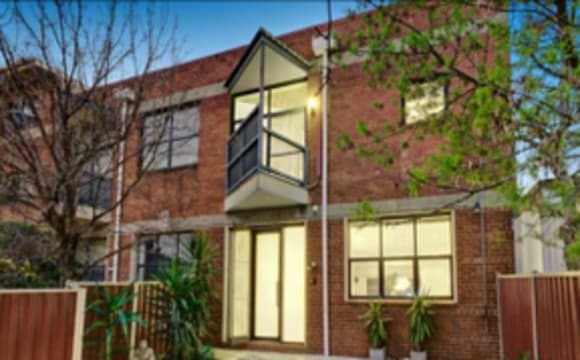 - Within 1-5 minutes walking distance to Footscray train station, bus and tram stops, Footscray market, shops and restaurants. - Only 10 minutes drive to Melbourne CBD Please call or text me for enquiries or booking for inspection time. This is a spacious town house with three large bedrooms, fits a queen bed and a desk with room to spare, a really nice open plan downstairs that opens up to a small courtyard and a good size kitchen if your'e into your cooking . Located almost across the road from VU Footscray park, its only a 10 min walk to Footscray station, 1 min to bus and tram stop which will take you to Highpoint shopping centre. The house is tucked away off Ballarat rd so theres off street parking. Air conditioning and heating in all rooms. 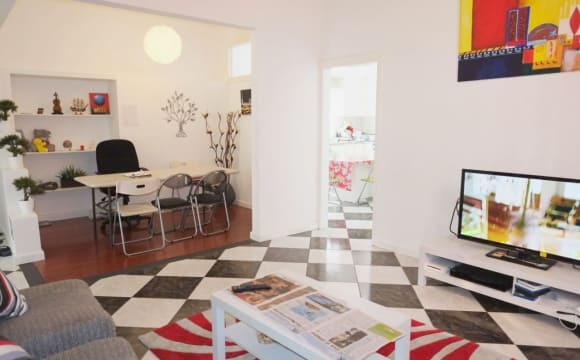 AFFORDABLE INNER CITY STYLE LIVING ONLY $125P⁄W INC BILLS A fun but not a party house sharing with people aged between 20-30:) Location: Located less than 10mins to the CBD ( 3-4 stops to the city loop stopping at Southern Cross Station⁄ Melbourne Central⁄Parliment Station) Accessible by trams (less than 3 mins walk), train station (10 mins) and with bus stop at your door step 5 mins to High Point Shopping Centre, Melbourne Show Ground⁄ Flemington Racecourse Easy access to Melbourne CBD, North Melbourne, West Melborune, Kensington, Flemington, Ascot Vale, Richmond, Prahran, Fitzroy Room type: TYPE 1: Quad shared - $140 per week pay 4 weeks $130 per week pay 8 weeks $125 per week pay 12 weeks TYPE 2: Triple Room - $150 per week TYPE 2: Private room - $260 per week for single occupant or $350 per week for two occupants Deposit is $250 for dorm room and 2 week rent for private room The house is Fully renovated with style and comfort Fully furnished with dining table, tv, kitchen appliances, sofa, washing machine, fridge, microwave Street parking available The room is Secure by private key Equipped with private lockers at no additional charge Available now Group booking welcomed! Hi there, The room is large with high ceilings, screened window with plenty of light, cleaned carpet, curtains, a fireplace mantle. The room is furnished with a queen sized bed &amp; bed linen, bedside tables, wardrobe, storage, desk, lamp &amp; filing cabinet if required. 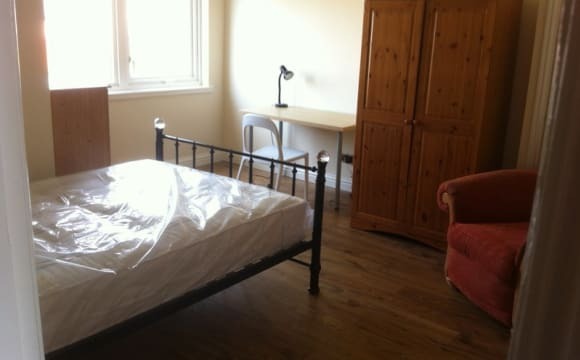 You will be sharing with a mature couple and a well grounded male student all are respectful house mates living in a quiet and peaceful environment as this is not a party house. The rest of the house has two lounge areas, modern fully equipped kitchen with dishwasher, dining area, 2 toilets and a fully appointed bathroom and laundry, air-conditioning, gas heating. The front and rear gardens are lovely and are well maintained, the rear garden which has a veggie patch and several fruit trees is very private, peaceful and green. Our home is a couple hundred metres to tram and bus &amp; two short tram stops to the station. 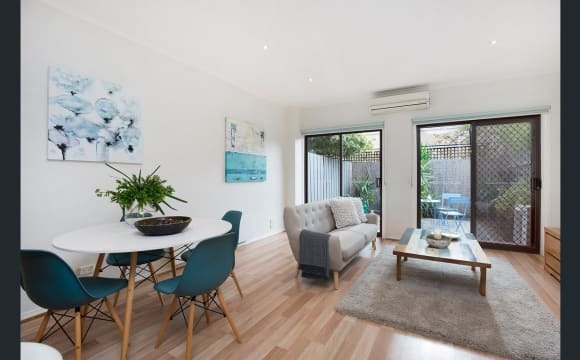 Just a 5 minute walk to Victoria University, Barkley St restaurant precinct, Footscray Gardens and the Maribyrnong River cycling and walking tracks. The room is available from Monday 14th May 2019. The rent is $275/week for singles only including all utilities and unlimited wifi. A payment of 4 weeks of rent and 4 weeks for the bond is required to secure this large bedroom in this happy home please. The house: - Your own private room, no sharing. - Rent: $750/month all bills included. Paid on 1st date of every month - Total 4 bedrooms, one will be available from 8th May 2019. - Currently occupied by uni students (Vic uni), f/t accountant, p/t waitress, who are super cool, friendly and respectful. - Fast internet (Telstra cable) unlimited, 6x faster than your normal ADSL broadband - Large 48-in LED TV - a large Fridge - Front-loader washing machine in-house, no need to go outside to street laundry - Gas cook top - Gas heater, Rinai super quiet, safe, warm all day - Air-con in living room - Car park space in backyard - Sun room for drying your washings The location: - Footscray (Western) General Hospital: across the road - Footscray railway station: 7 min by bus (223, 440 or 406) or tram No 82 - Hi-point shopping centre: 6 min by bus or tram - Victoria University: 7 min walk - Next door: McDonalds, Pizza; Indian restaurants, IGA supermarket - 5 min walk: ALDI supermarket, Lazy Mo's restaurant, Thai restaurant. *** INTERNATIONAL STUDENTS AND BACKPACKERS ONLY *** The house is fully furnished, we have a great backyard with a BBQ and there is a lot of cool people living here! We are looking for housemates that are young (early to mid 20's) and open minded! No Marijuana (or any type of drugs) is allowed either in the house or outside in the garden. You will have your privacy, but at the same time you will never feel lonely! There is a large artistic community and it’s an interesting and stimulating place! 5 min walk to Footscray Train Station (10 min to the CBD by train), 1 min walk to Bus Stop (25 min to the CBD via Queen Victoria Market), 10 minute walk to shops, 10 or 20 min walk to Victoria Uni depending on campus. Good public transport to RMIT and University of Melbourne. Opposite a small park; Maribyrnong River; lovely bike paths. On the same street as the Community Arts Centre and Happy River Café. Two minute walk to public transport, 10 minute drive to the city, the apartment is in a great location! Lots of good cafes and bars around Footscray/ Yarraville to enjoy. The fireplace is great for the upcoming winter ahead. We are looking forward to sitting infront of it over winter with our new roomie and our new TV. We are located in a great area of Footscray, 5 mins walk from Footscray station, Maribyrnong river and the Footscray market. Also close by all the great brunch spots and bars in the area. North facing back yard, natural light, original features, good neighbours and public transport. 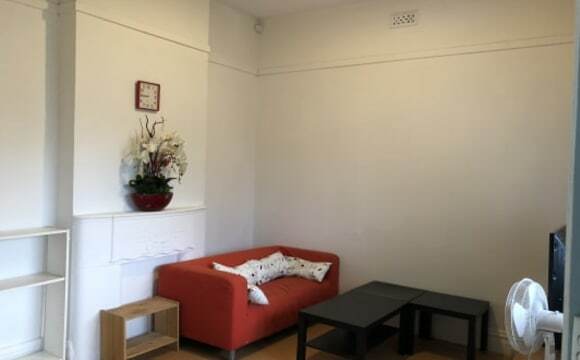 LOCATION: Victoria Street, Footscray RENT: $340 pw plus $60 pw consumables - 15 mins to CBD via Melbourne Central Railway Station - Regular cleaning of common areas and unlimited fast internet WIFI included as part of the package. - The housemates are all professional, mature, easy going, quiet, peaceful and loves intelligent conversations. AVAILABLE NOW!!! PLEASE DO NOT CALL. Just PM for more details! 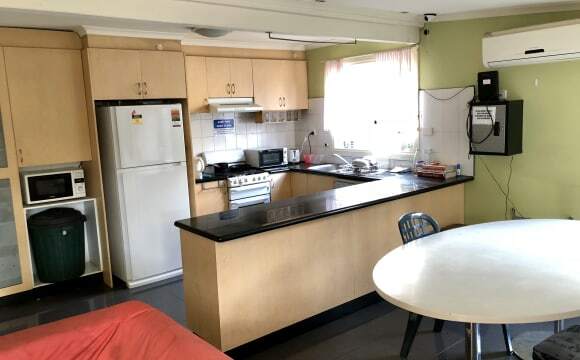 LOCATION: Victoria Street, Footscray RENT: $250 pw plus $40 pw consumables The house is a very well-managed house, where everyone’s safety and privacy are respected and you can relax knowing you have all the conveniences at a reasonable price. AVAILABLE NOW!!! This is a ONE OF A KIND DEAL! So what are you waiting for? PLEASE DO NOT CALL. 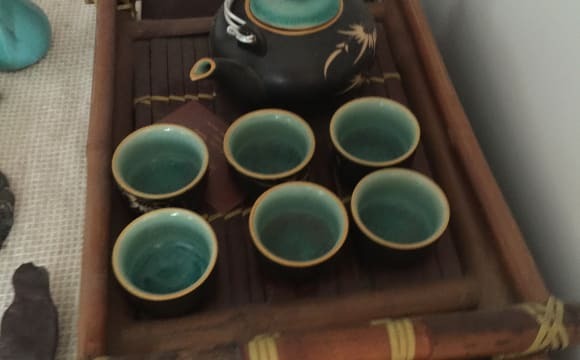 Just PM for more details and photos! The house is very spacious for two people and fully furnished and has a large backyard. 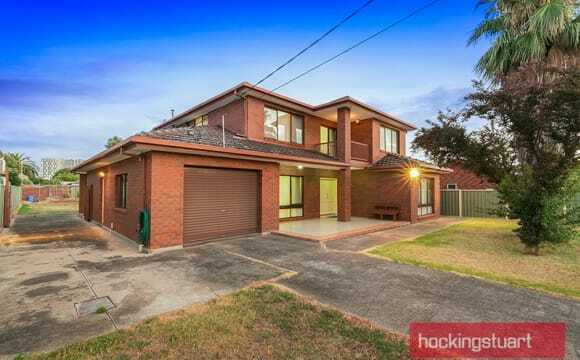 7 minute walk to Footscray station. 2 minute walk to buses that go into the city, Melbourne Uni, further West, etc. This place is just the best! Our place is huge. Six spacious bedrooms, three separate toilets and bathroom. Two living rooms, dining room/study. Huge open backyard that is perfect for afternoon drinks and a BBQ. Off street street parking available, with public transport right at either end of the street. Small balcony on the top level you can use to catch some rays and have a nice glass of wine and wind down. The house also comes with a Netflix and Stan account- and one very sweet staffy called Luna. We are all social beings and it is a rare occassion that everyone is home at same time. Most of us meal prep so the kitchen is always free at some point during the evenings. We have three fridges in the house- so that meals you will only ever be sharing a fridge with one other. There is always beer in the fridge, or wine in the house. We are all incredibly lucky and everyone gets along very well in this household. We are all respectful of each others time, possessions and space and will often help each other out with little jobs. We are more like a family than housemates so we are looking for someone who will be the right fit in the sometimes loud- always fun and relaxed household. ROOM 1 AVAILABLE 1St OF APRIL. Shared room available 5th may. Double room available 15th may. ALL BILLS INCLUDED + NBN UNLIMITED INTERNET WI-FI. Shared room $200 p/week. Single use $300 Couples pay extra depending on lenght of stay. I need 1 or 2 responsible clean and tidy people to rent 2 single beds room. you must be working, or studying and able to pay 1 month rent and bond in advance. If you are willing to stay 4 months i can change the beds into a double. ( FOR COUPLES OR SINGLE) . THE room is available, the bedding can easily be changed! The house has everything you need: Washing machine, microwave, toaster, fridge, smart Tv, BBQ! Great 4 bedrooms house. Victoria University Footscray Park at 300mt. Victoria University Nicholson Street at 1km. Save money on transports. Walk to footscray train station. Tram stop at 80mt going to highpoint, Aldi, train station. Shops, restaurant, footscray market at walking distance. City CBD at 9 minutes train ride. Couples pay extra. NBN wi-fi unlimited included in all rooms. Short term welcome (min 1 month). Please note this is not a party house, and i take pride in keeping my place clean and tidy. You will have to do the same to be compatible. No party house. Suitable for students and professionals. No time wasters. No bargaining. Please do not waste my time. Please provide profile and tell me what you do,,study, work etc... this is not a hostel. you cant just book a room. I do not hold rooms, unless you pay deposit. PROFILE WITH PHOTO THANKS. Thanks for your understanding.